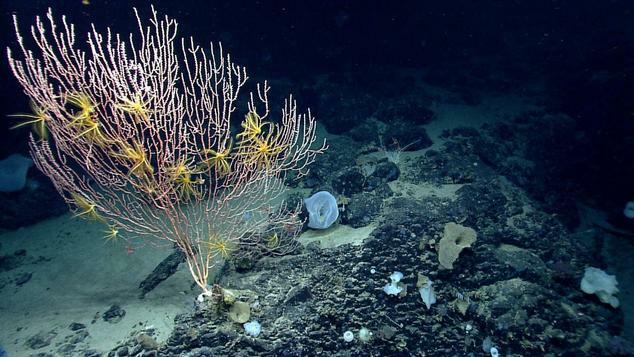 In a major victory for ocean conservation, a federal court in Washington, DC has upheld the legality of the Northeast Canyons and Seamounts, America’s first marine national monument located in the U.S. Atlantic Ocean. “In 1905, Teddy Roosevelt wrote that ‘there can be nothing in the world more beautiful’ than the natural wonders of the United States, and ’our people should see to it that they are preserved for their children and their children’s children forever.’ . . . Roosevelt was talking, of course, about those legendary sites that most Americans know: Yosemite Valley, the Canyon of Yellowstone, and the Grand Canyon. Located about 130 miles off the coast of Cape Cod, the Northeast Canyons and Seamounts protects a dramatic undersea landscape—featuring three deep underwater canyons and four extinct volcanoes, known as “seamounts”—along with the fragile, interconnected ecosystems found in and around there. The area is a biologic hotspot, providing habitat for a diverse range of marine species, including endangered whales, sea turtles, seabirds, and rare deep-sea cold-water corals. Protecting these ocean ecosystems helps improve ocean resilience to warming temperatures and other threats, and it helps to sustain tourism, recreation, fishing, and other sectors of the New England economy that depend on abundant fish and wildlife. The Antiquities Act allows the President to protect special places of national historical or scientific interest, much as Congress designates national parks. When people think of national parks and national monuments, they typically think of terrestrial areas. But “marine monuments” and “blue parks” are nothing new. Since the 1930s, Presidents of both parties—and even Congress itself—have declared national monuments that encompass offshore lands and waters in order to protect important public resources. President George W. Bush designated several national monuments in the Pacific Ocean to protect coral reefs, marine life, and biological hotspots: Papahānaumokuākea Marine National Monument, Pacific Remote Islands Marine National Monument, Marianas Trench Marine National Monument, and Rose Atoll Marine National Monument. And President Obama expanded the first two of these. As the district court recognized, the Northeast Canyons and Seamounts follows in this well-established tradition. Today’s decision arises from an industry challenge filed in 2017. Several commercial fishing groups sued the government, arguing that President Obama lacked authority under the Antiquities Act to designate the Northeast Canyons. NRDC, the Conservation Law Foundation, and Earthjustice (representing the Center for Biological Diversity and an individual whale-watch naturalist based in Maine) intervened in the lawsuit to defend the legality of the monument. First, the fishing groups argued that the Antiquities Act applies only to dry land, not to submerged lands and waters—an argument that, if it prevailed, would have put in jeopardy all existing marine monuments. The court rejected that argument, relying on settled Supreme Court law to confirm the longstanding view that the President may establish national monuments in the ocean to protect important natural and scientific resources. Second, the fishing groups argued that the Antiquities Act does not apply in the U.S. Exclusive Economic Zone—the area of the ocean where Northeast Canyons is located—because, they contended, the United States does not “control” that ocean area off its coast. The court rejected this one, too, recognizing that the United States’ extensive power in the U.S. EEZ under international and domestic law meets the requirement for “control.” If the court had ruled otherwise, it would have called into question the legality of all five marine monuments Presidents Bush and Obama created and expanded in the U.S. Atlantic and Pacific Oceans and the irreplaceable natural and biological resources they protect. Third, the fishing groups argued that Northeast Canyons covered too large an area. The court rejected this argument, too, reaffirming what the Supreme Court has long recognized—that ecosystems are “objects of scientific interest” worthy of Antiquities Act protection. As the court noted, Presidents from Teddy Roosevelt onward have repeatedly used the Act to protect nationally significant landscapes and ecosystems, including very large ones like the Grand Canyon, Zion, and Denali. This decision is a win for the environment and for science. It recognizes what biologists and other scientists have long understood—that ecosystems free from human interference are important for the resiliency of many species from environmental stressors. Our national monuments—which exist on both land and at sea—will continue to provide precious habitat for a diverse range of species and invaluable contributions to scientific research. This decision is an important victory—not only for the future of the Northeast Canyons and Seamounts, but for all of America’s national monuments. The Antiquities Act is meant to preserve our shared natural and cultural treasures for the benefit of all Americans, and for “their children and their children’s children forever.” The court’s ruling will help Northeast Canyons’ scientific and biological treasures endure for generations to come. Alaska v. United States, 545 U.S. 75, 103 (2005). Op. 1 (quoting Outdoor Pastimes of An American Hunter at 317 (1905)).